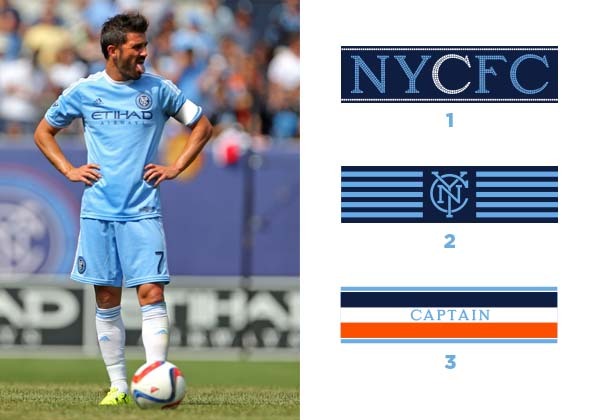 NYCFC is once again opening up the Captain's armband design to a vote of season ticket holders. Here are the three options. Curiously enough, they're listed in the opposite order on the voting page as they are on the main site's graphic. 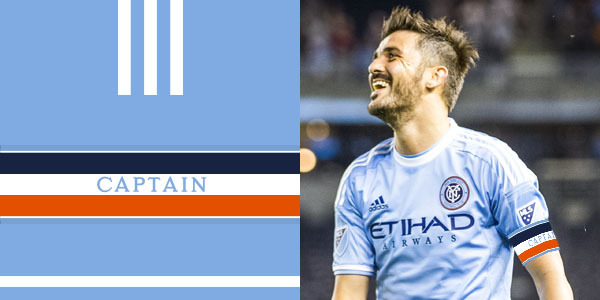 Love the homage to New York City's tricolor flag. Also will look great against the sky blue shirt. This is definitely my choice. 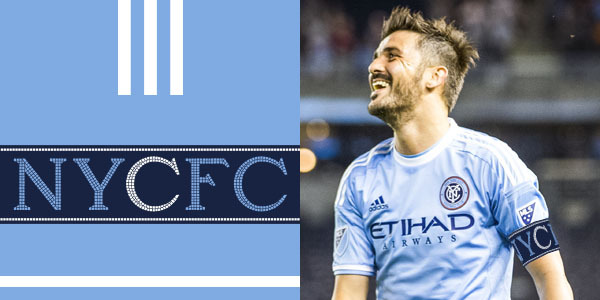 This combines my two favorite elements of NYCFC's branding, the Timeless Monogram and double shades of blue. Under any other circumstances, this is what I would like to see, but I can't go against the tricolor. My least favorite option. 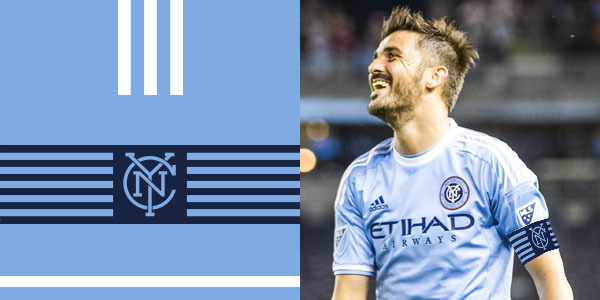 I presume it would look better in person than it does in this quick Photoshop, but it's still a pale imitation of the bold Gotham armband from 2015. And there you have it. Log on to your account and vote today. Voting ends February 2nd. UPDATE: The winner has been announced: Villa will be wearing the flag-inspired Design 1 this season.